They're singing the songs...and living them. George Strait already had 25 chart-topping hits when he made his film debut in Pure Country (Side A). He plays Dusty, who ditches his superstar C&W career to rediscover his simple roots...and finds that the simple life can be complex when his manager (Lesley Ann Warren) retaliates. Next, in another savvy, song-filled slice of the performing life, Willie Nelson is On the Road Again for a film that's not autobiographical yet knows its highways and byways well. Dyan Cannon, Amy Irving and Slim Pickens join Nelson in a film that has the knack for providing the right song at the right time. Get on the bus. 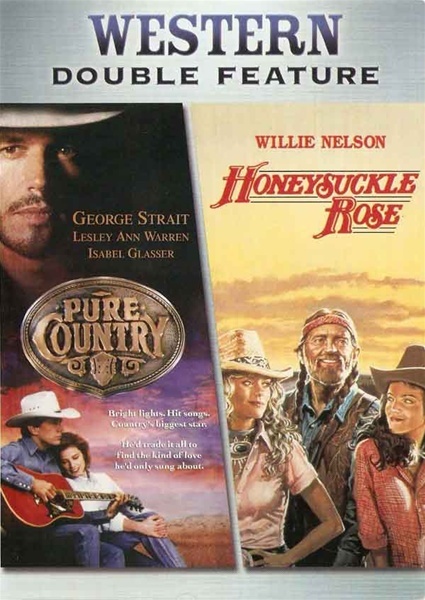 With Honeysuckle Rose (Side B) marking its DVD Debut, you can't help but go places.